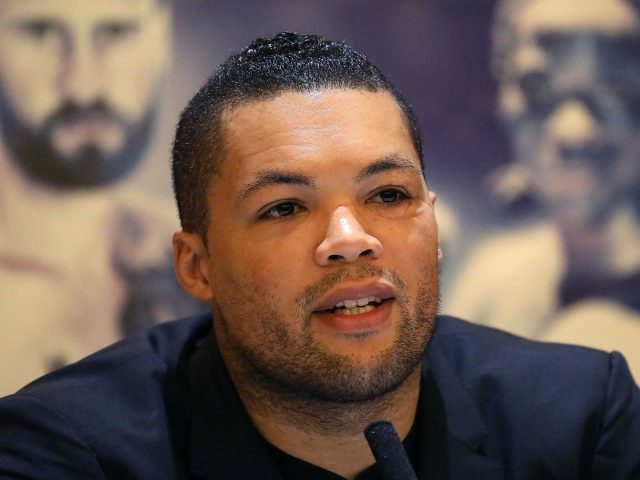 THE trainer whose jaw was broken by a punch from David Haye as he brawled with Dereck Chisora has targeted getting “even” by ruining the professional debut of his protege Joe Joyce. In his promoter’s guise, Haye has ambitiously matched Joyce with respected domestic heavyweight Ian Lewison in a match-up that represents a significant risk, even for a 2016 Olympic silver medallist. The 31-year-old is turning professional with Hayemaker Ringstar, a partnership between Haye and former Golden Boy chief executive Richard Schaefer, and will fight Lewison at London’s Indigo at The 02 on October 20. Haye insists he is also on course to fight again this year, having recovered from the Achilles injury suffered during March’s defeat by Tony Bellew, but until then will focus on the promotional outfit Lewison’s trainer Don Charles hopes to undermine. Charles was left eating through a straw after coming in between Haye and Chisora in 2012, and then suffered defeat as Chisora’s trainer when the two fought in the boxing ring later that year. Lewison, 35, also says it is an “insult” Haye and Joyce believe the latter is already capable of defeating him, and the 56-year-old Charles told Press Association Sport: “He’s never actually privately apologised to me. I was going to demand a public apology but I thought it’s not fair because it’s the launch of his promotional outfit. “I respect the man, but I just wanted to ask him ‘Why did you take a swing at me? I wasn’t fighting you’. He’s had loads of opportunities privately to say ‘I was out of order, I shouldn’t have done that: it was heat of the moment’. I will always hold that until the day (he apologises). “I like him, and I admire his brain as a boxer, in the way he’s able to reinvent himself. But he took a shot at an old man. “In the nicest possible way, what a (better) way to do it than to take away the nucleus of his promotional outfit? It won’t be the end of it, but it will dent it, slow it down, should we pull off this victory, which I believe we will. Discussing his most promising fighter, the 36-year-old Haye said: “Joe Joyce is the future of the heavyweight division. This guy has all the tools to be the best heavyweight on the planet. “I’m fortunate I’m 37 next year and getting out of the game, because this guy keeps coming. “It’s challenging, but I’m confident going into the deep end,” added Joyce, who is also scheduled to fight his experienced opponent over 10 three-minute rounds, instead of the four widely demanded of a professional debut.